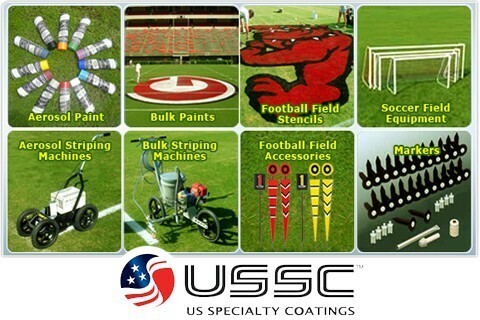 At US SPECIALTY COATINGS we manufacture athletic field marking paints, paint striping machines, athletic field accessories, Traffic Paints, Marking Paints, Industrial Coatings, Protective Coatings, Specialty Custom Coatings, Architectural Paints, Floor Waxes and Janitorial products, serving customers all over the world. Our paints are made in the USA and our formulations are designed for optimal performance with personal and environmental safety in mind. We believe in honesty, integrity and teamwork. Because of these technical and business ethics, we have become very successful in our niche market.